Video games don’t come more beloved than Super Mario Bros. 3. Its pre-release hype – which included an entire motion picture, The Wizard, to help advertise it – was unprecedented in its day. 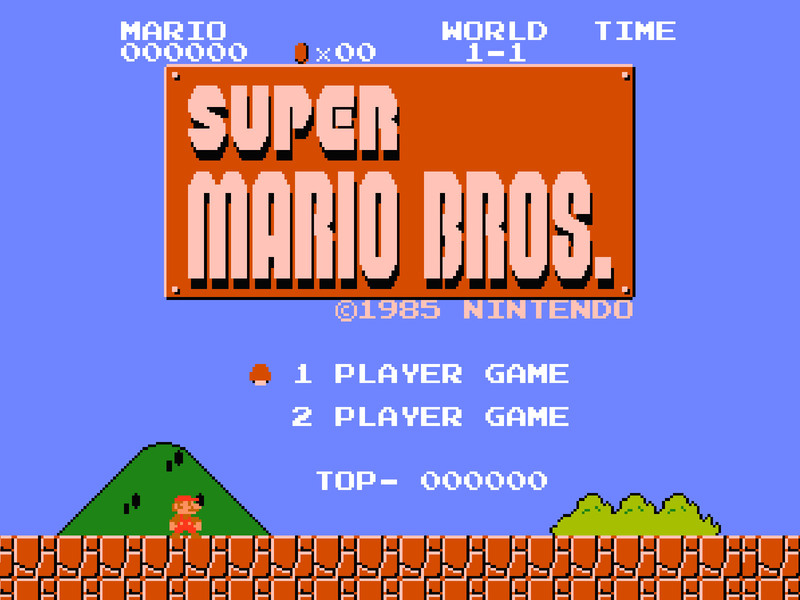 It became a pop culture phenomenon that matched even the original Super Mario Bros., and established most of the identity of the Super Mario series that we still see over two and a half decades later. And to this day, it is still widely regarded as one of the greatest video games of all time, and regularly declared as the most timeless game on the NES (with only Mega Man 2 putting up an argument against it). Super Mario Bros. 3’s importance to Nintendo is hard to exaggerate. It remains a highlight in the big N’s history. While the Japanese Super Mario Bros. 2 retained the look and feel of the original but cranked up to an infuriating difficulty, and the western Super Mario Bros. 2 felt like a strange detour in the series, Super Mario Bros. 3 felt like the first real evolution of the Super Mario Bros. formula. Mario once again jumped through the Mushroom Kingdom, kicked Koopa shells, and ventured to save the Princess from the villainous Bowser. But Super Mario Bros. 3 was a massive leap forward in its execution. 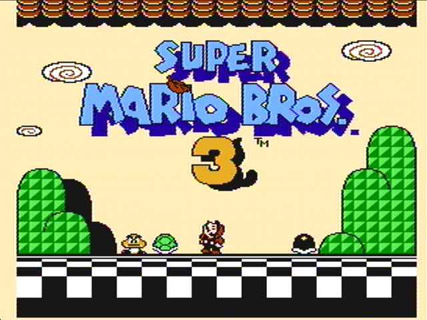 Not only did the visuals receive an overhaul – with the Mushroom World being more colorful and vibrant than ever before – but Super Mario Bros. 3 expanded on gameplay in several meaningful ways. Perhaps most notable are the power-ups. While the Super Mushroom, Starman and Fire Flower all returned, Super Mario Bros. 3 added a wealth of new oddities to give Mario super powers. 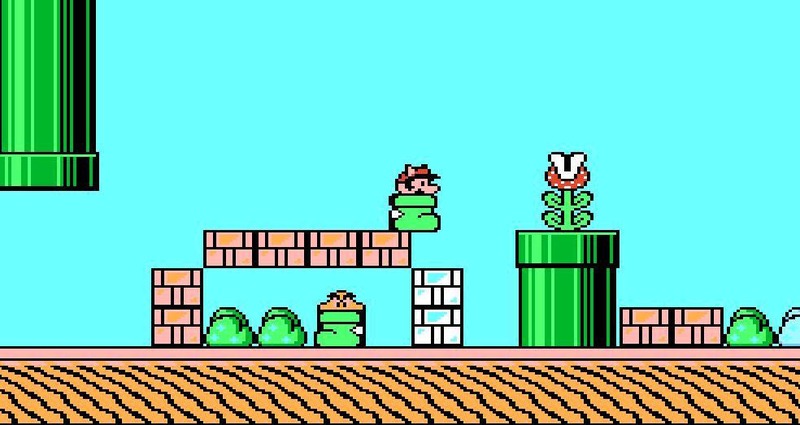 The first and most prominently featured was the Super Leaf, which gave Mario raccoon ears and a tail that allowed him to fly. A new run meter at the bottom of the screen displayed Mario’s speed. Run fast enough and leap to the air to send Raccoon Mario skyward! He could even take out enemies and slow the descent of his falls with a spin of his tail. Then there’s the Tanooki Suit, which put Mario in a fluffy costume. The Tanooki Suit serves as a greater (and rarer) version of the Raccoon Suit, granting the same powers while also allowing Mario to transform into an invincible statue. The Frog Suit gave Mario and Luigi better swimming and jumping abilities, while the elusive Hammer Suit let the plumbing duo turn the tables on the Hammer Bros., as they could throw hammers that easily defeated even the most difficult enemies. In arguably the game’s most famous level, Mario could hop into a giant shoe and hop across otherwise dangerous surfaces. Super Mario Bros. 3’s power-ups delighted players (as well as baffling westerners with their roots in Japanese culture), and added a new sense of variety and depth to the mix. 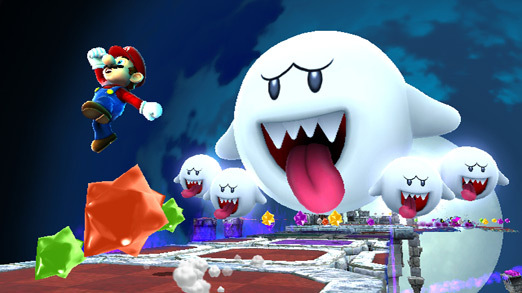 The game included so many power-ups that it boasted Mario’s largest arsenal until Super Mario Galaxy was released on the Wii some seventeen years later. Then there were the levels. Super Mario Bros. 3 showcases some of the very best level design in all of gaming. The courses are straightforward, with Mario simply needing to reach the goal at the end of each stage. But every level presents a fun idea or challenge – with many of them being built around a single mechanic or power-up – that are used to their fullest. The eight included worlds also saw a greater variety, with worlds taking on themes like deserts, oceans, the sky and even a world where everything is super-sized. The world map, a revelatory concept, was introduced here. Mario could now travel across a map in between levels, giving players a greater sense of freedom. They can tackle every level they wanted, or just skip to the ones that are necessary for progression. 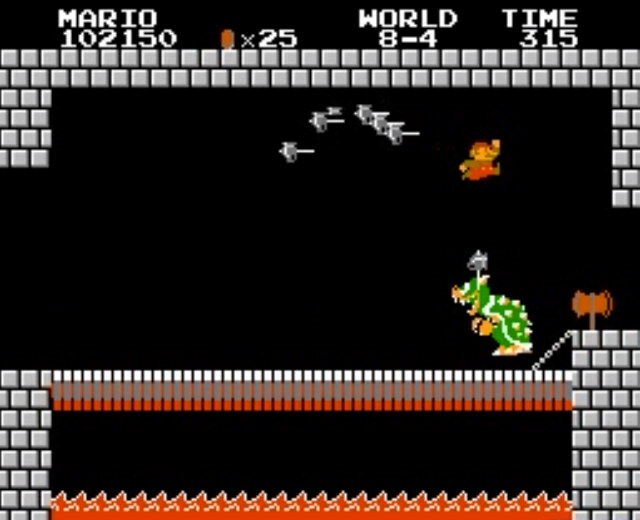 Enemies even appeared on the world map, giving Mario the chance to earn a power-up. Toad Houses and mini-games gave Mario a chance to earn even more goodies and extra lives. You still couldn’t replay levels after beating them in the same playthrough (that would be an innovation of Super Mario World) but the world map was a drastic leap forward for the series. The game still remains fun to look at, with the graphics being some of the most timeless on the NES, and the music just as catchy and even more varied than that of Super Mario Bros. But more notable is how many of Mario’s established elements all got their start here: Boos, Thwomps, the Koopalings, airships, flying, the aforementioned world map and Toad Houses… So much of what we know about Super Mario today was first realized in Super Mario Bros. 3. The game was such a landmark in game design, and so widely beloved, that it has largely remained at the heart of the series ever since. When it comes to discussing the best of Mario’s 2D adventures, the argument is almost unanimously between Super Mario Bros. 3 and Super Mario World. Between the two, I’ve always been more of a Super Mario World man, as the replayable levels and secret exits added so much depth to what Mario 3 started, but that’s only a testament to that game’s sheer greatness. Super Mario Bros. 3, in its own right, remains one of the greatest platformers ever made, one of the crown jewels of 8-bit gaming, and one of the finest games to don the Mario name. It even makes re-watching The Wizard worthwhile just to see the game featured in the finale. It’s that good. Super Mario Bros. is a game that needs no introduction: It opened possibilities in game design that no one else at the time had begun to think of. It launched not only the Super Mario series, but kickstarted Nintendo’s many franchises to come. It resurrected gaming after the medium’s massive crash in the early 80s, and many of gaming’s most prolific minds cite it as an influence in their work, if not the reason they got into gaming to begin with. No game before or since has captured Super Mario Bros’ impact. Thirty years after it launched on the NES, the adventure that made Mario ‘super’ remains a benchmark in video games. The great news for modern gamers is that Super Mario Bros. is also tremendously fun to play even today. Super Mario Bros. established the basics for the rest of the series to follow, so it may seem a bit simple when compared to its successors, but it’s impossible to deny just how much fun those basics are. Mario can walk, run, and of course, jump. Grabbing a Super Mushroom makes Mario bigger, which makes him able to break blocks and duck, as well as providing him with added durability (he shrinks back to his starting size when struck by an enemy, instead of losing a life immediately). Grab a Fire Flower and Mario truly lives up to his “super” monicker, as throwing fireballs can make quick work of even the most bothersome enemies. Grabbing a Starman might be the biggest treat, as it grants Mario with temporary invincibility and gives players a listen to the most hypnotic eighteen notes in all of gaming. Mario must traverse eight different worlds – each with four courses apiece – in his quest to save Princess Peach (then called “Princess Toadstool” in the west, apparently before Nintendo realized how unappealing of a name that is). The levels all follow one of four simple themes: Overworld, underground, under water, and castles. The overworld stages have a little more variety in their color schemes than the others, and tend to be easier. 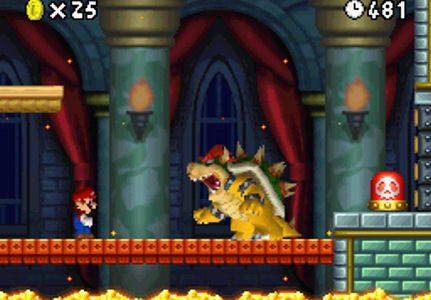 The castle stages cap off each world, and culminate with a showdown with the King Koopa himself, Bowser. 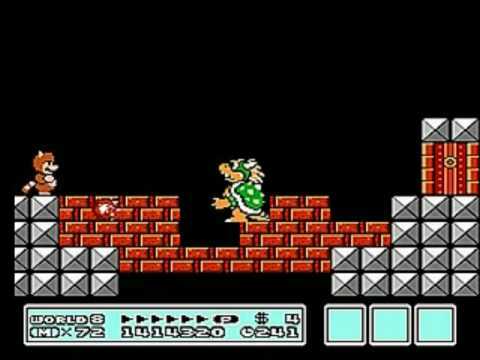 Some players might be surprised at how challenging Super Mario Bros. can be at times. You start the game with only three tries, you can only gain extra lives by collecting one hundred coins and finding 1-Up Mushrooms, and “continues” are not part of the equation. Coins aren’t spread quite so liberally as they are in today’s Mario, and you may find it takes a good few levels before you hear that reassuring jingle of an extra life. Similarly, 1-Up Mushrooms are considerably more rare here than they are in the likes of the New Super Mario Bros. series, and finding even one of them brings a sense of joy as if you’ve uncovered buried treasure. An added sense of difficulty stems from Mario’s inability to backtrack in this adventure. Once all of the characters, objects and scenery are out of the screen, there’s no turning back. Even if you have the whole game memorized and know where to find a Starman or a secret shortcut, if you skip anything you’ve missed your chance and can’t do a thing about it during the same playthrough. That’s all part of the appeal of the original Super Mario Bros. though. It feels a lot more like an arcade title than its sequels, asking players to try their best to memorize all its inner workings until they master the experience. But it’s also more adventurous than any arcade title of its time. 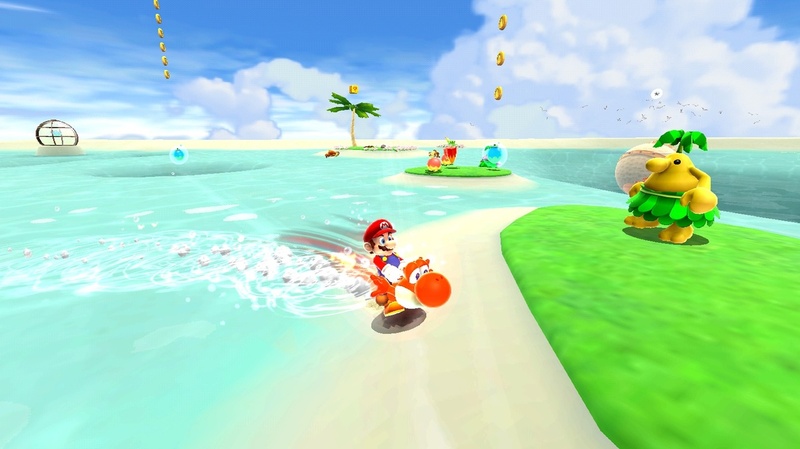 Mario could keep moving forward while other characters were confined to a single screen. The Mushroom Kingdom was a joyous, bizarre fantasy world whereas other video game levels were simply that. 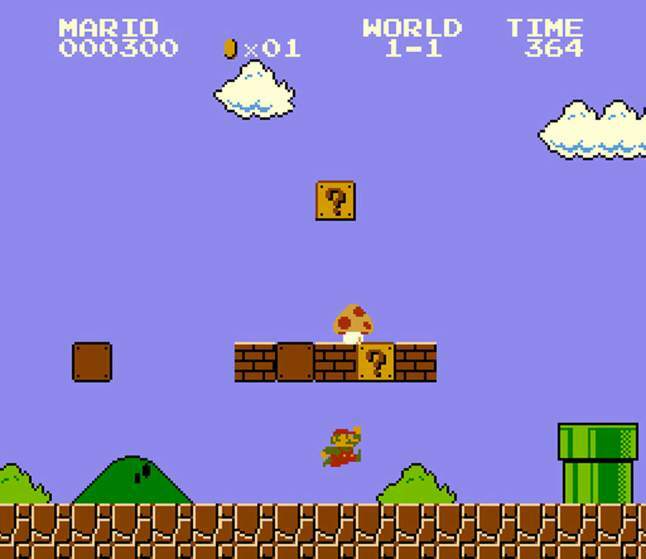 In short, Super Mario Bros. was a perfect transition for gaming from the days of the arcade to the world of home consoles. From its colorful sprites, wonderfully infectious music, and precise gameplay, it seems just about all of Super Mario Bros’ elements are both iconic and timeless. There’s little that can be said about it that hasn’t already been said. If there is any drawback to Mario’s trailblazing NES debut it’s simply that, in retrospect, it has the inescapable comparison to its sequels. And while Super Mario Bros. remains a fantastic piece of game design, it would be a bold claim to say it’s as imaginative and deep, or even as fun, as Super Mario Bros. 3 or Super Mario World. It is timeless, to be sure. But its best sequels prove that even timelessness can be improved on. That said, if simply being “not quite as good” as the classics it inspired is Super Mario Bros’ biggest problem, then that just speaks for how well designed the game was, and how great it still is. Thirty years later, and you still can’t but help be hooked on the brothers. The perennial video game classic Super Mario Bros. turns 30 years old this week. 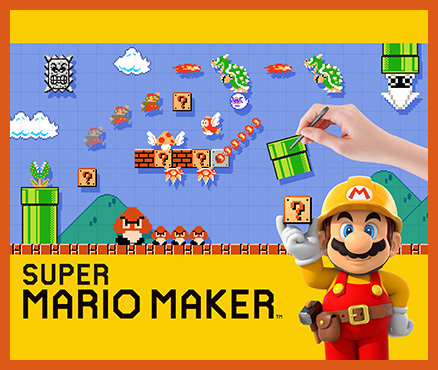 With it comes Nintendo’s release of Super Mario Maker, a game which allows anyone to create their own Super Mario stages. As my own means to join the festivities, I shall dedicate a good deal of this site to Mario-based reviews, blogs, top 5/10 lists, and other such things for the remainder of September (though it’s not as though this site is lacking in Mario-based content). Of course, I will also post non-Mario themed material as well, should I feel the need. But hopefully I can crank out some good blogging material worthy of gaming’s most famous mustache. In preparation of Super Mario Maker, I’ve been replaying what are probably the series’ most beloved entries with Super Mario Bros., Super Mario Bros. 3 and Super Mario World. So I’ll probably be reviewing these all-time greats soon (expect plenty of gushing). And once I start creating Mario Maker stages, I’ll probably share them here, maybe even in YouTube video form! Maybe I’ll even review other people’s levels! That’s a feature that I can see continuing well past September. I’ll try to whip up some other good stuff as well. Anyway, a bit of rambling on my part. Let’s get to celebrating thirty freaking years of Super Mario. Let’s-a go! Super Mario Galaxy 2, more so than any game I’ve played, loves video games. It loves video games in their purest form, putting gameplay and invention above all else, and polishing it all to the greatest of extents. Galaxy 2 takes many of the bells and whistles of modern game design, and tosses them out the window. That’s not to say that Galaxy 2 is a backwards game – that couldn’t be any further from the truth – but where most of today’s games are trying to prove they are more than just video games, Super Mario Galaxy 2 proudly lets players know that it is a pure, unadulterated video game, and that in itself is a beautiful thing. The original Super Mario Galaxy was a triumph of design that showcased Nintendo’s abilities at their most imaginative. Galaxy 2 is nothing short of Nintendo trying to outdo themselves at their best. They succeeded. The game’s sense of control is identical to its predecessor, and it remains one of the most fluid control schemes in gaming: Mario’s movement is performed with the Wii remote’s nunchuck attachment, with the remote itself being used to perform Mario’s signature jumping maneuvers. 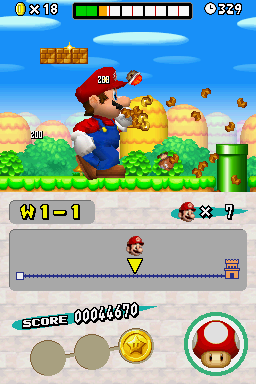 A quick shake of the remote has Mario performing an ever-important spin attack, which not only stuns enemies, but gives a vital boost to Mario’s jumps. Additionally, the Wii Remote’s motion controls are used to collect Star Bits, which can be used against enemies with an onscreen cursor as well as collected to unlock additional stages. While Galaxy 2 controls similarly to the original, it’s in its design and progression that Galaxy 2 becomes its own creation. The hub world of the previous 3D Mario games is abandoned. In its place is the simpler Starship Mario, a mini-planetoid that humorously resembles Mario himself. Starship Mario works closer to a miniature playground for players to test out their abilities than a traditional hub like Mario 64’s castle or Galaxy’s Comet Observatory. Through Starship Mario players traverse a world map akin to the 2D Marios, giving Galaxy 2 a more instantaneous sense of progression. 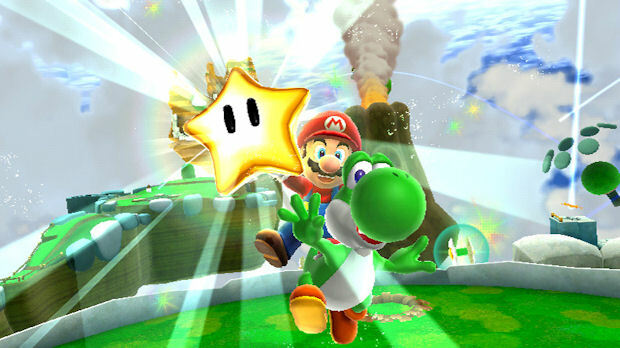 Mario must still collect Power Stars, which he gains from completing missions within the game’s many levels (referred to here as “Galaxies”). These Galaxies mostly consist of linear series of planetoids that tinker with various levels of gravity, but some larger, more grounded open worlds as well as 2D stages also show up from time to time. Acquiring Stars never becomes tedious or repetitive, as Galaxy 2 is constantly throwing new ideas into the mix to keep the game fresh throughout its entirety, never slowing down with its restless creativity. Throughout his adventure, Mario will race down giant tree trunks, traverse a haunted pop-up book, and compete in a series of mini-games against a blue chimp, to name but a few of the odd ventures Mario partakes in. Even the stages that house multiple Power Stars feel wonderfully varied within their return visits. 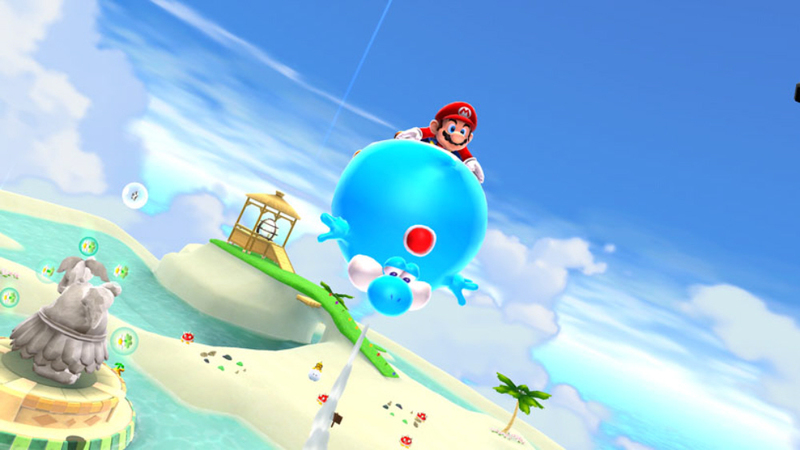 One such galaxy initially has Mario braving an obstacle course of moons while avoiding the maws of giant lava hippos, but the second time around the famed plumber must use one of the game’s power-ups to become a bowling ball and make his way through a bowling alley suspended in the sky. Galaxy 2 even finds the time to recreate events from some of Mario’s past adventures, and add its own spin on them to make them feel new all over again. Super Mario Galaxy 2 upstages even its predecessor with its wondrous sense of invention. It isn’t just the level design that separates Galaxy 2 from the original, however, as new elements are added to the core gameplay to ensure the experience is its own. 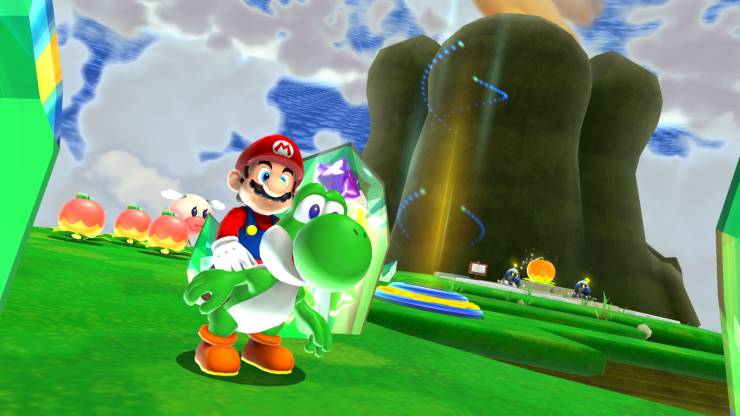 The most obvious addition to Galaxy 2 is the return of Yoshi, who was better utilized here than he had been in any Mario game since his debut in Super Mario World. Yoshi not only has a more floaty jump to help Mario across more dangerous chasms, but he also provides the game’s best use of motion controls, as Yoshi’s whiplike tongue is controlled by pointing the Wii remote to gobble up enemies or interact with objects. Yoshi even gets three power-ups of his own this time around: The Dash Pepper allows Yoshi to run so fast he can sprint up walls and glide on water. The Blimp Fruit causes Yoshi to turn into a balloon to float to out of reach heights. Finally, the Bulb Berry is one of Galaxy 2’s greatest gameplay innovations, as it causes Yoshi to illuminate dark places and reveal ethereal platforms, which slowly disappear as the effects of the berry wear off. 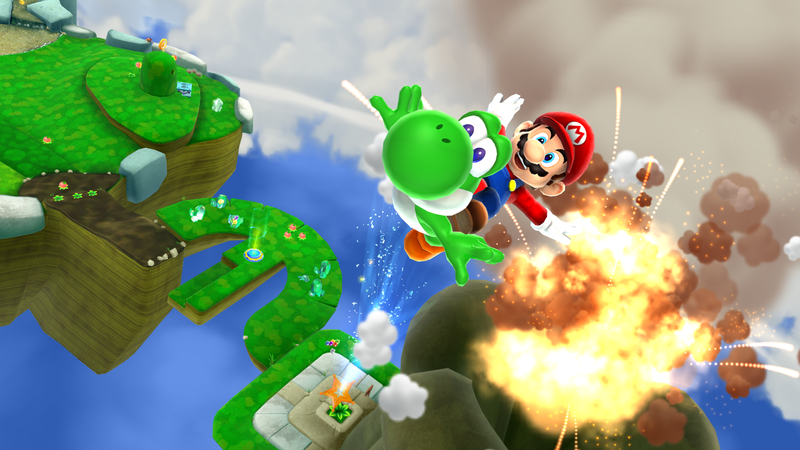 Although Yoshi is not present in every stage, his addition to the game is used to its fullest, and he adds an even greater depth and variety to an already deep and varied game. 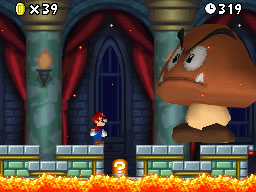 Besides Yoshi, a plethora of power-ups add to the gameplay, with most of the first Galaxy’s power-ups making a return: The ever-present Fire Flower allows Mario to throw fireballs, the Bee Mushroom gives Mario small bursts of flight and the ability to climb honeycombs, the Boo Mushroom grants Mario the ability to float and disappear through walls, the Spring Mushroom wraps Mario in a coil that – although humorously muddling his controls – allows him to jump to greater heights, and the Rainbow Star gives Mario temporary invincibility. Three new power-ups were introduced here, however, giving Galaxy 2 Mario’s best array of abilities yet in the long-standing series. 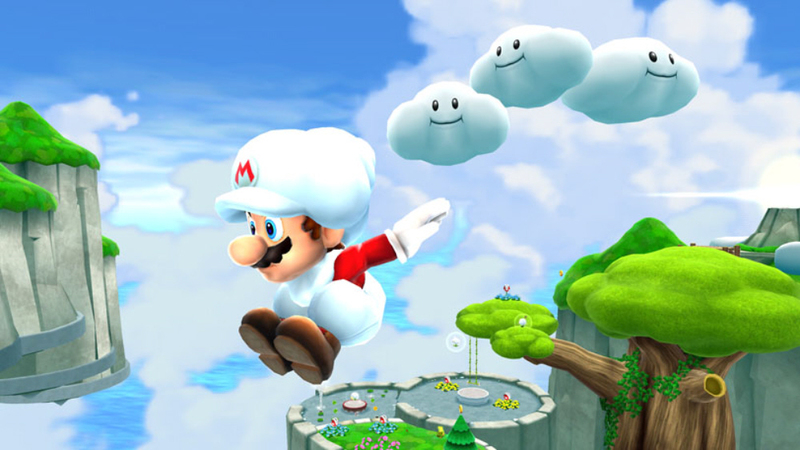 The Cloud Flower, Galaxy 2’s most prominent power-up, allows Mario to create three cloud platforms, which becomes an invaluable contribution in more challenging stages. The Rock Mushroom turns Mario into a boulder that crushes everything in its path. Finally, the Spin Drill is used to dig through and into the ground, adding a whole new layer to Galaxy’s wonderfully dizzying level design. Some power-ups are found far more frequently than others, but much like the other aspects of the game, Galaxy 2 brings out the best of its toybox of power-ups with their every use. You’ll rarely be using them the same way twice. Galaxy 2 outdoes its predecessor in two other key areas: One is the difficulty, which has been upped from Mario’s first intergalactic adventure. It’s never painfully difficult, but it has a more notable difficulty curve than the first game. Then there’s the boss encounters, which are far more frequent, creative and challenging than the first Galaxy, with a new and inventive boss fight seemingly around every corner. Some may lament that Galaxy 2 undoes much of what the first Super Mario Galaxy did in terms of narrative. Although the original didn’t have an Earth-shatteringly new story, it displayed it with a much stronger cinematic presentation, and the character addition of Rosalina provided not only the series’ most fleshed-out character, but also brought a genuinely touching side-story to the table. Galaxy 2 abandons these concepts, with the story now being minimized to the point of self-parody. Rosalina’s role is also largely reduced, being more or less replaced by the cute but basic Lubba, who provides little to the game outside of some light humor. 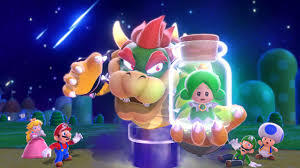 Galaxy 2 may not match the first game in terms of it cinematic approach or heartfelt side-stories – with Bowser seemingly invading the Mushroom Kingdom and taking the Princess to outer space on a mere whim this time around – but the change is ultimately for the best. Simply replicating those aspects from Galaxy may have felt recycled, and introducing a new character with a similar story to Rosalina would not only feel rehashed, but it would cheapen what the first game accomplished with Rosalina. Galaxy 2’s insistence of pure gameplay over all else differentiates it from its predecessor, thus not cheapening either title. In terms of presentation, it’s hard to imagine Galaxy 2 could look or sound better. The visuals were the absolute best to come out of the Wii, pushing its hardware to its limit and even improving on the sheen of the first game’s graphics with more colorful visuals, fun character designs, detailed environments and ridiculously fluid animations. Its soundtrack stands as one of the very best in gaming, using most of the orchestrated tracks from the first game with a host of new ones by Nintendo’s orchestra man, Mahito Yokota. Galaxy 2’s soundtrack perfectly combines a sense of awe and beauty while still sounding distinctly Mario. To say Super Mario Galaxy 2 is a hefty package of gaming is an understatement. The main adventure alone will take close to twenty hours to complete. Long after Bowser is defeated there are secret levels to unlock and more Power Stars to find. And once you’ve gained that 120th Power Star (traditionally the series’ maximum since Mario 64), a whole new, more challenging goal is unlocked within the game’s stages. Super Mario Galaxy 2 is a triumph of game design and imagination: It’s constantly inventing, reinventing and perfecting not only what the original Galaxy started, but the very foundations of the Mario series itself. It never stops introducing new ideas and gameplay concepts, keeping them long enough to showcase their brilliance but never letting one of them overstay their welcome. Galaxy 2 takes the blueprints of its brilliant predecessor, turns them upside down, and scribbles all over them, coloring outside the lines. The Super Mario series has remained a consistent force in gaming since its inception, producing some of the most memorable and beloved games of all time. Super Mario Galaxy 2 is so full of invention and exudes such quality in its execution that it puts up a strong argument to being the best game in the illustrious series. Super Mario Galaxy 2 is a celebration of video games, and the end result is not only the best 3D platformer yet made, it’s also one of the finest video games of all time. Super Mario Galaxy 2 is a video game through and through, and because of that, it’s so much more. At first glance, Super Mario 3D World may simply look like Super Mario 3D Land got a Wii U makeover and added multiplayer to the equation. The game’s first world is largely that, an expansion of the concepts Nintendo’s Tokyo studios came up with for their 3DS Mario effort. It uses similar mechanics and level structure to 3D Land, but brought up to a larger scale to fit its home console and allow three additional players to join in the fun. This time, in addition to Mario, players can also select Luigi, Princess Peach and Toad, who regain their abilities from Super Mario Bros. 2 back on the NES (Luigi jumps high, Peach floats, Toad runs fastest). But it doesn’t take long for the guise of familiarity to melt away. What starts as a continuation of 3D Land’s design quickly begins reconstructing itself with idea after idea that are all their own. The initial changes are the most obvious. 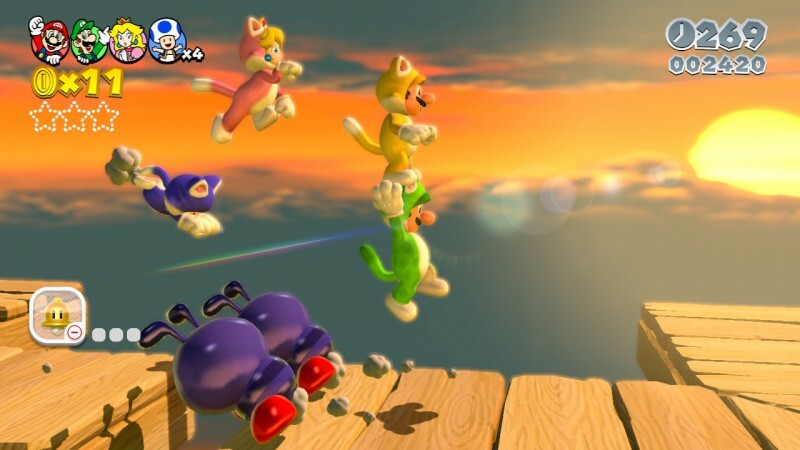 The Cat Suit – which is so prominently featured on the box art and advertisements – gives Mario and company the ability to scamper up walls and strike enemies with a scratch attack. The Cat Suit joins the ranks of the greatest Mario power-ups for its sheer versatility. The variety of uses for the Cat Suit is a testament to the creativity at work at Nintendo’s Tokyo Studios. Joining the Cat Suit is the “Double Cherry,” a power-up that creates clones of the character who grabs it. 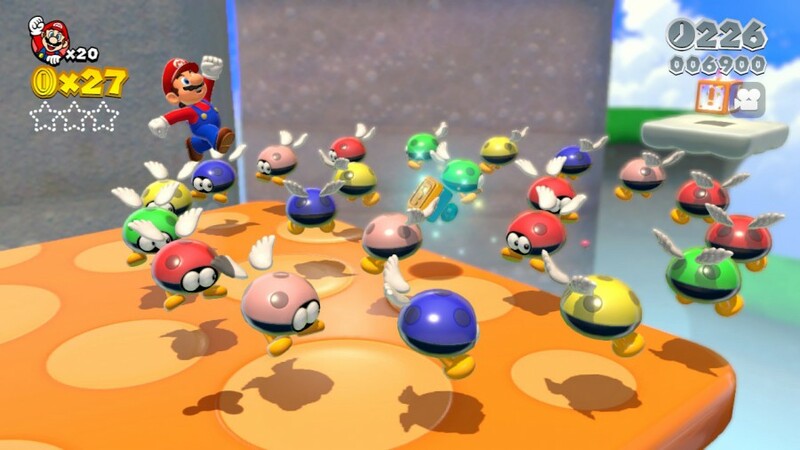 The Double Cherry is notable for being a power-up that not only stacks up with itself (the more cherries you grab, the more your clones multiply), but also stacks with other power-ups as well (small armies of fire Marios or cat Luigis come into play soon after the Cherrie’s introduction). It can get a little tricky to control multiple clones, but if anything, its a delightful chaos that ensues. The new power-ups are joined by returning favorites (Fire Flower, Boomerang Suit, Mega Mario, etc. ), but the new power-ups aren’t all that 3D World has going for it. It’s the level design that deserves the most praise. Although some will cry foul at the more linear structure carried over from 3D Land as opposed to the wide open worlds of Super Mario 64 and Sunshine, the majority of 3D World’s stages boast the same creative spark as the very best Mario games. 3D World’s levels are comprised of one-off ideas and rapid-fire concepts. Rarely will you be doing the same thing twice, and even when a concept does repeat itself, it finds a way to rearrange itself to make it feel fresh all over again. One moment you’ll be riding across a river on the back of a dinosaur, the next you’ll be jumping across platforms that materialize in accordance to the stage’s music, and then Mario will be wearing a canon on his head, fighting his way through an armada of Koopas and Bob-ombs. And this isn’t even taking into account the Captain Toad stages, in which you guide a Toad through a single-screen obstacle course without the ability to jump, or the Mystery Houses, which see Mario and friends face a barrage of quick, singular challenges. The ideas just keep coming. Even when 3D World is playing up the nostalgia with nods to Mario’s past (and boy does this game enjoy doing just that), it finds ways to make these retro concepts feel like its own creations. It’s this kind of inventiveness that has helped the Mario series remain relevant since its inception, and it shines all over 3D World’s level design. A notable exception comes in the form of the game’s boss fights. 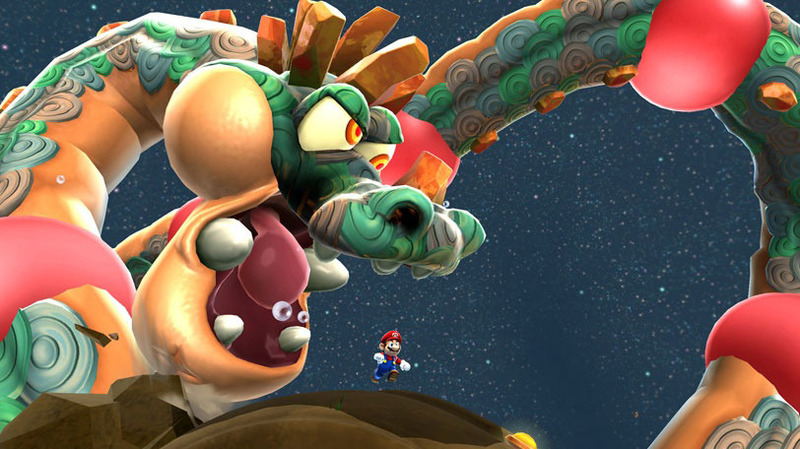 3D World’s bosses are fun (the final battle with Bowser in particular is so full of energy it feels like something out of a Platinum title), but each of the game’s eight standard worlds contains only one or two boss fights – with many of the bosses being repeat encounters – and only a select few provide any real challenge. Perhaps this wouldn’t be so noticeable, if 3D World weren’t following-up Galaxy 2 on the home console front. After Galaxy 2’s insistence on introducing a new and engaging boss fight at just about every other turn, 3D World seems restrained by comparison. The gameplay is as fun as ever, and now that we have a 3D Mario that’s up to four players, you can either play a more relaxed-yet-challenging single player campaign, or experience the sheer insanity of a multiplayer adventure. On the visual front, Mario has never looked better. Sure, New Super Mario Bros. U gave Mario the jump to HD over a year beforehand, but its aesthetics and style kept very close to what we’ve seen in the past. For all intents and purposes, 3D World is Mario’s proper introduction to HD. From the sheen of a Bullet Bill to the rain striking against the camera in the game’s later stages, Super Mario 3D World oozes a fine attention to detail in its visuals. Sure, the world of 3D World may stick to simpler shapes in its platforms than the whimsical oddities of the Galaxy series (no worm bridges across space apples this time), but while the environments are simpler the style remains just as intricate. It’s gorgeous. A stellar soundtrack adds to 3D World’s personality. Much like the Galaxy series, 3D World’s score is comprised of live band instruments and orchestras. If compared to the music of Galaxy, one could say 3D World’s score is more fun, but less beautiful. Equally catchy all the same. 3D World also finds some fun (albeit small) uses of the Wii U’s Gamepad. Certain levels will require touch screen actions in order to help Mario and friends out, while blowing into the Gamepad’s mic will reveal hidden objects and levitate certain platforms (in addition to making the player look like the best kind of idiot). It’s not exactly extensive usage of the Wii U’s capabilities, but they still bring some fun ideas to the table. Super Mario 3D World brings out pretty much everything we’ve come to love about the Mario series through the years, all while weaving together its own style. It’s the most literal translation of Mario’s 2D roots into a 3D environment yet, and it contains bits and pieces of Mario’s history brought together and made anew. And for those seeking an extra challenge, 3D World contains three hidden Green Stars in every stage, as well as a hidden stamp that can later be used on Miiverse. Finding everything will ensure that the fun continues long after Bowser has been defeated. A large amount of post-game content also helps give the game lasting appeal. Admittedly, for all its fun and creativity, 3D World never quite reaches the same heights as the Galaxy series, though it is the best entry in the Mario series since the galactic duo. 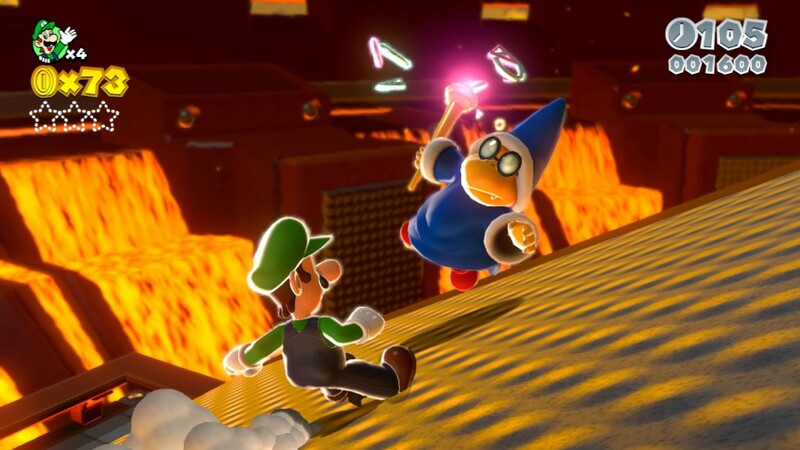 But not being as good as Mario Galaxy is certainly no unforgivable sin, and despite just a few small hiccups in boss fights, Super Mario 3D World does an excellent job for itself. It’s some of the most fun to be had in gaming in years, and one of the best games on the Wii U. Just be warned, if your friends start throwing you in harm’s way and cost you your cat suit, you may never want to speak to them again.